Whether they’re pretending to be an astronaut chasing little aliens, teaching proper ball-throwing techniques, helping with homework, or doing the cooking and laundry with their own flair, today’s fathers are playful, involved, and engaged. One of the best ways for dads to spend time with their kids is snuggling up and reading together! These special times build strong, lasting bonds and benefit kids in so many ways! 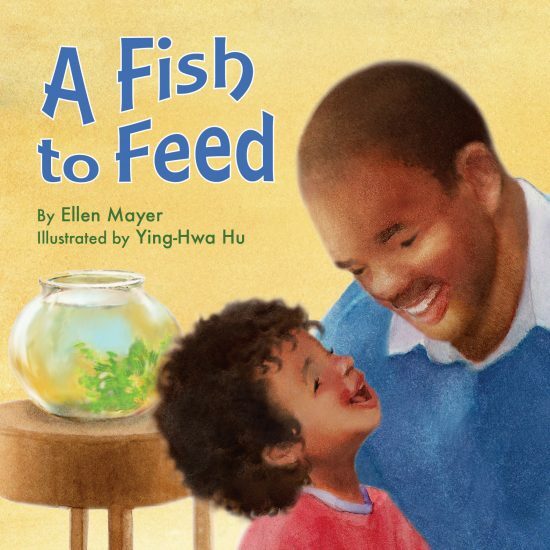 Books make wonderful Father’s Day gifts that kids and their dads can share long after the holiday. 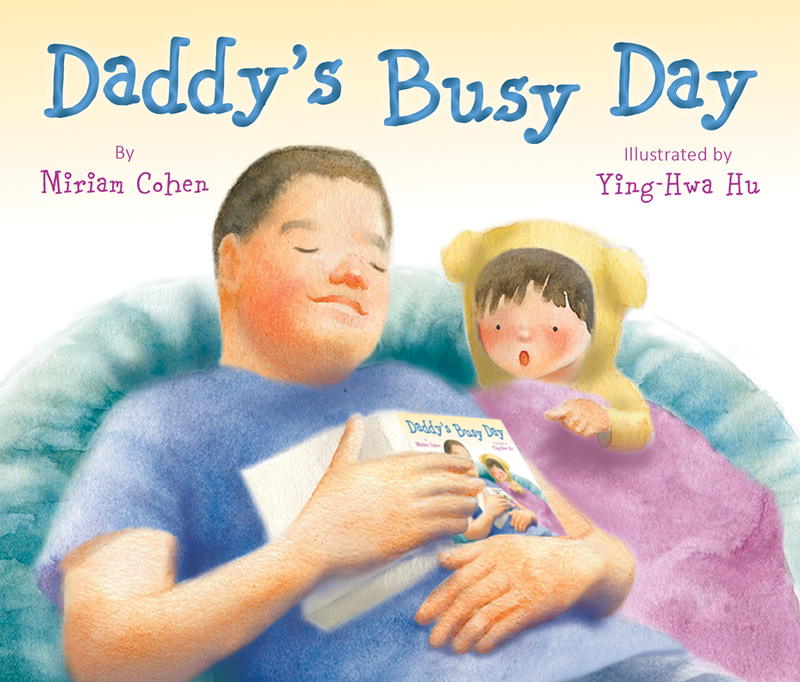 Here you’ll find books that are just right for wrapping up a perfect day with dad! There are board books for little ones from ages 2 to 5, chapter books for kids ages 5 to 9, and a novel for young readers ages 9 to 12. In this sweet story, a child spends days with Dad while Mom goes off to work. As the little one says “Good bye, Mommy,” Daddy dishes up a breakfast favorite. The day flies by as they make chores fun, visit the park, have lunch, and dance. When Mom gets home, it’s time to cook dinner, take a bath, hear a story, and finally drift off to sleep with kisses from Mommy and Daddy. 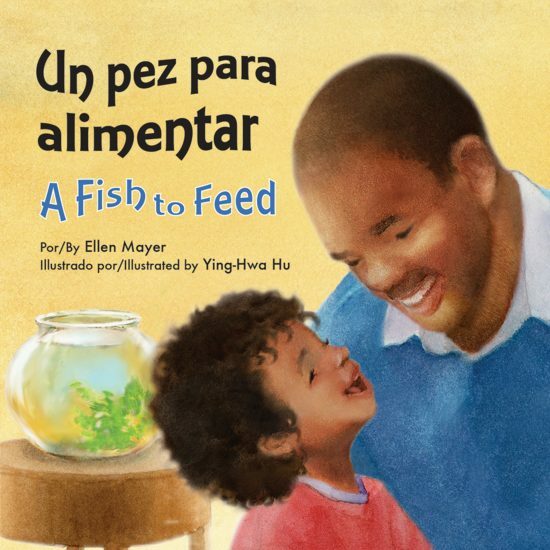 Gender neutral, this book is perfect for all children. 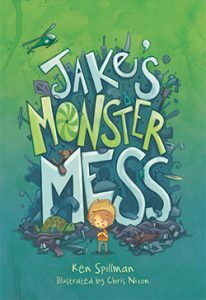 Jake and his dad are on their own in these funny, madcap adventures that younger kids will love to hear and independent readers will want to devour one after the other. 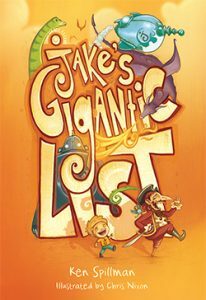 Loveable Jake has huge ideas and a colossal desire to make them all come true! When things turn out…well…a little surprising, Jake can count on his dad for a sympathetic ear and encouragement. Here’s a chapter-book series that all kids—voracious readers and reluctant readers alike—will get excited about. Come on! Join Jake’s world! When Jake is cast as the prince in the class play The Little Mermaid and learns he’ll have to kiss Stephanie (even if it is pretend), he thinks he’d rather be tied to an ants’ nest and force-fed tripe during every school vacation. He gamely learns his lines and gives his character princely manners, but that looming kiss is nerve-wracking! 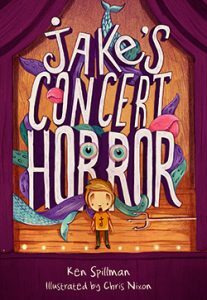 What will Jake do when the curtain rises and every eye is on him? Jake’s caught the cooking bug. When his first creation—a boiled sweet potato mashed with baked beans and covered in an everything-in-the-refrigerator-door sauce—isn’t a culinary success, he takes lessons from Nana. Their chocolate mousse, pizza, and mango ice cream are delish, and Jake’s sure he’s got the hang of cooking. So what if his own chocolate mousse is more of a chocolate mess; it still tastes good! 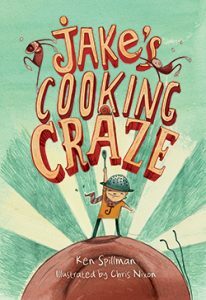 Jake’s convinced he can win the school’s cooking competition, and he wants to make something no one—especially Stephanie—will dare. But with only one ingredient from home allowed, what will Jake choose from his garden? Jake knows he’s going to be awesome at soccer. He’ll be super-fast and much too tricky for the opposing teams. But once he’s out on the field, soccer’s not as easy as it looks. Jake’s dribbling looks like bad passing and his passing looks like bad dribbling. The ball just won’t cooperate. Is it possible there’s a position that’s just the right fit for Jake? Jake’s birthday is right around the corner and Dad doesn’t know what to get him, so Jake starts a list. Pretty soon the list has 352 things on it, including #65: snow that doesn’t melt, complete with sled; #66: my own beach; #69: friendly pirate; #324: real dinosaurs—no fossils; and #325: fish tank with piranhas. There’s no way he’s getting any of these! But does Auntie Lyn find a way? 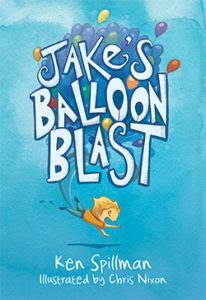 Jake’s dad is throwing a dinner party, and he wants Jake to clean his room before the guests arrive. At first Jake’s room is only slightly messy, but putting away his underwear starts an avalanche of toys, furniture, and dust that keeps Jake hopping all day. He’s determined to put everything in its proper place—and help others in the process—but his dad and their guests are in for a surprise! Jake has always wanted to fly! Not in an airplane—that’s basically riding a bus in the sky—but for real. He knows he can do it—he just needs to figure out how. The pair of wings he builds won’t hold him, and his other plans don’t work out so well either. Then he remembers the helium tank his dad has! He enlists the help of his best friend Jonah and soon Jake is pumped and ready to go. Finally, he achieves his dream—with topsy-turvy results! 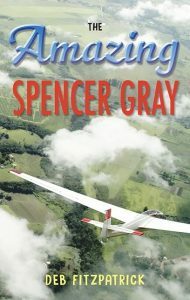 Spencer Gray is twelve—finally old enough to join his father in his glider, the Drifter. Going up and soaring is amazing! Then disaster strikes the glider in mid-air, leaving his father badly injured. Spencer will have to be nothing short of amazing to help his dad in this compelling story of survival, family, and resilience. 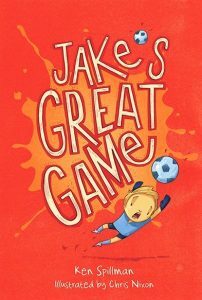 This entry was posted in Board Books, Family, Fathers, Gifts on June 12, 2017 by Star Bright Books. Thanks so much for reading! I hope you found some books to share!